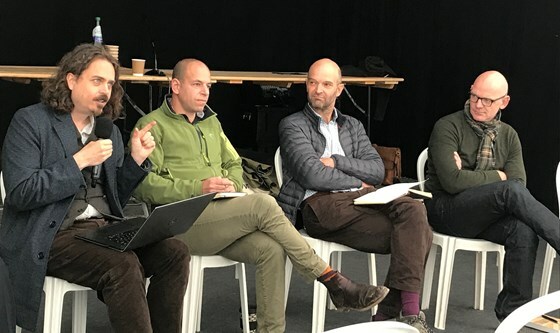 This is the transcript of what I said in the initial statements, prior to audience discussion, at the Confor organised seminar “Forestry and The Bioeconomy”, at the 2018 APF show (see Confor’s summary here). Also on the panel were Jez Ralph (Timber Strategies), Gary Newman (Woodlandknowledge Wales) and Adrian Campbell (Change Building). “My name is Dan Ridley-Ellis and I’ve been working at Edinburgh Napier University for the past 15 years researching wood, particularly the wood we grow in the British Isles. When I speak at events like this I’m normally trying my best to minimise the gap between academia and the real world, but I think my role today is best served if I play the academic card full on, especially at this early stage where I have an opportunity to say some controversial things in order to get the discussion going. But I really only have one thing to say, and that is wood is not what you think it is. During those last 15 years of thinking deeply about wood, and hanging around with other academics, I’ve come to realise that I don’t really know what wood is. And it’s worse than that. I also don’t know what trees are. I used to think I did…in fact I’m pretty sure I had those things sorted out by primary school. But the horrible thing about working in education is that it that it requires you to explain things to other people and it is only when you start to explain something that you suddenly realise that you can’t. And right now, I’m doing a live demonstration of this very problem. The thing is, I cannot come up with a definition of wood, or tree, that works in all circumstances. I can give temporary ones that work for a particular situation – most of the time even – but I cannot come up with something that works all the time. Why? Because I’m trying to talk about living things using ordinary language which it, itself, a living changing thing. It’s not really a problem as such – and here, finally is my point – but what sometimes happens is that our words for things begin to govern how we think about those things. Language influences our world view more than we realise, and the biggest limiter on the potential for wood are the boxes we make in our own heads. I spend quite a lot of my time playing whack-a-mole with some very persistent “facts” about British timber. Many of them are things I used to say myself until the research data came in and showed something different. These are ideas and perceptions that are very hard to change because they have been bouncing around the forestry and timber echo chamber for so long that we barely think to question them. And I see some new ones being formed. Timber is renewable, sustainable and there is more growing in the forest than we take out. We say that a lot, but we begin to forget that renewable and sustainable does not mean unlimited. There are limits – some of you, I am sure, are acutely aware of them – but collectively we are not really behaving like there are. I have no doubt that forestry is going to be the core of the future materials chain. It’s not the only source of biotic materials but it’s really the only one with any potential to deliver the volumes that we will need for the future bio-based economy. But those volumes are huge and we really ought to think a bit more strategically about how we go about this. So yes, maybe it’s true that everything we can get from a barrel of oil we can get from wood. But the world uses more than 10 times the weight of oil than it currently produces in weight of harvested roundwood. We imagine a future where we solve the housing crisis with wood, yet the world uses more weight of cement alone than we produce of wood. 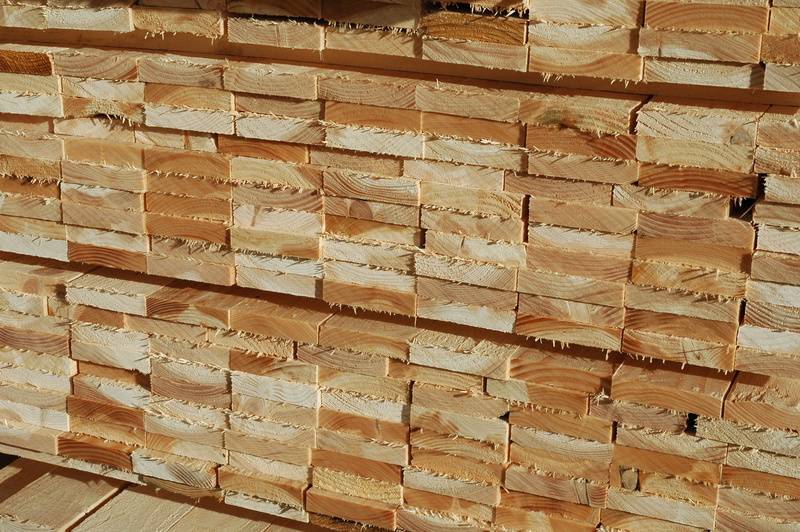 So yes, it is great to see the rise in popularity of things like cross-laminated timber, or innovations in new high-tech materials manufactured from the chemical components of wood, or ways of modifying wood to make it more like other materials – but I do still worry about what people are saying about why it is good to use wood. Wood is an abundant natural material they say. Well it’s not all that abundant when you try and find it with the quality to you want. And some of these things being proposed transform it so much that they entirely remove the benefit of it being natural, except it being grown to begin with. We need, somehow, to not be carried away by our enthusiasm for novelty and scientific wizardry. That’s a very odd thing for an academic to say because normally we have to chase those very things in order to get our research income. If I cared only about being a good university employee I would be cheerfully stoking that enthusiasm but I, unfortunately, am burdened with a desire to make the world a better place. And so I worry when I see the volume of wood being used for buildings being trumpeted as a good thing – in the name of carbon sequestration – or research and investment effort being put into expensive ways of turning wood into something fancy that is not, actually, solving a real problem, or – and this is my primary concern – existing good examples of wood use getting displaced by much bigger players who may later discover that what they were trying to do doesn’t make business sense. There are some very big companies out there, and we are already seeing some very radical things happening with construction. Disruption can be a driver of technology change but there is no guarantee that this change will be a good one, especially if we start to believe our own hype. We need a way of managing the direction of research – to let it grow and develop organically, but to prune and thin ideas so that what we end up with is nicely formed, healthy, and valuable. We need to bring the wider world of forestry and timber closer to research. Normally I would use the word industry because that’s what gets you points as an academic, but in truth I mean something much wider than that. So we need a way of identifying and rewarding the public goods in the research and development landscape, because the current system of rewarding for novelty is broken. I’m not saying that you should necessarily be the ones providing funding – although that would be nice – but I’d like you to guide the general funders like the research councils so that they see that there is value even when there isn’t the wow that catches the imagination.. I certainly don’t have all the answers, but I will give an example of something I think we need to solve. That is to bridge the gap between what forests and timber are becoming, and what we use wood, and other forest products, for. Our supply chains and current processing paths are still fixed on large volumes of very similar timber from a small number of commercial species, but we need to be able to adapt to a changing timber supply. 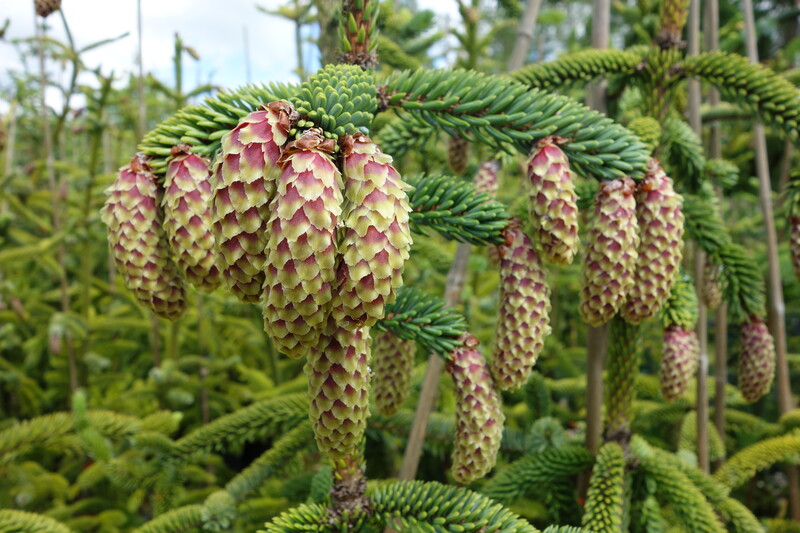 And because wood properties are heavily influenced by forest management and climate, even familiar species, like Sitka, are going to be different in future. We need to be able to adapt to that, in a future where there will be even more demands on quality wood fibre than there are now. So, for example, we should get back to the original idea of CLT as a way of using more variable, perhaps lower quality timber, instead of the weird animal it has become were everyone thinks it has to be made with prime timber, even if it’s only a single story building, and then talks about it as if were made from waste. All four of us on the panel came at the topic from different angles, but it was reassuring that everyone has the same underlying message about being careful how we use the timber resource. Jez Ralph added the extra information that we were removing too much of our (UK) softwood resource – around 80% of the increment, against a suggested maximum benchmark of 70%. “We’re taking out way too much and we are only just at the beginning of the revolution in the use of cellulose”. Everyone in the room agreed we definitely need to be planting more trees.